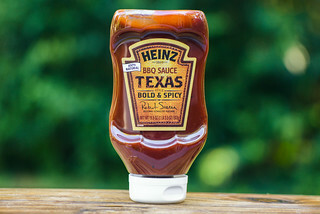 An extremely bright and fresh tomato flavor with well balanced sweetness, tang, and spice rocket Country Boy's Hot Num Num Barbecue Sauce into the top ranks of barbecue sauce. 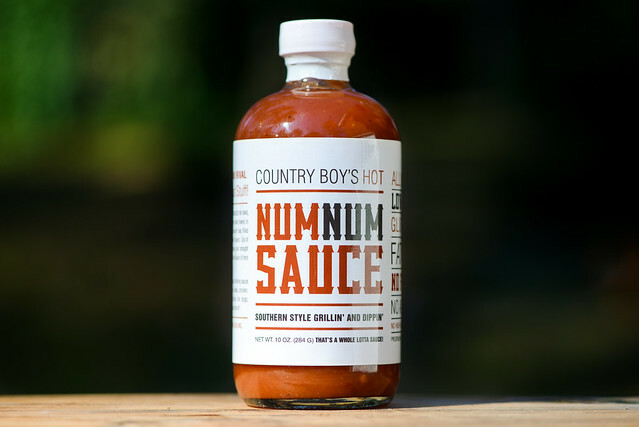 Num Num Sauce dates back to the 1940's, when current owner Michael Lloyd's great-grandfather was cooking up the sauce for family cookouts. The sauce was so popular and unique that the family bottled it and starting selling it under the name Faison & Faison BBQ Sauce, with its first run ending in the early 1960's. After graduating from Savannah State University in 2003, Michael settled in Durham, working in the pharmaceutical industry. 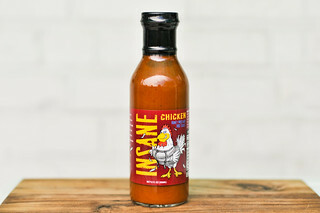 In 2006 he resurrected the sauce, after obtaining his family's blessing, and used his scientific background to improve the recipe before he began selling it under a new name—Num Num Sauce. His sauce line-up currently boasts three different varieties that are available online and at select groceries around North Carolina. The first characteristic to hit you in the aroma is very fresh, bright, and tangy tomato. That vibrant fruity aroma is backed up by onion-y notes and a mild mustard pungency. There's only a slight hint of heat in the smell—the overall sweetness dominates any pepper that may be present. This bright, rusty orange sauce is glossy and has a slight texture to it. While it's opaque, its light color lets you clearly see specs of red and white spices here and there. It sits in the middle of the thickness scale and has a fast, uneven pour from a suspended spoon. The last few drips of sauce release slowly with a more syrupy consistancy, and then a medium coating of sauce is left clinging to the silverware. Just like with the aroma, a bright, fresh tomato grabs the attention on the first spoonful of this sauce. That fruity character brings with it a natural sugar flavor that's mildly sweet. Along with the tomato, there's an onion component upfront, and these two quickly gain tang with a hit of vinegar that comes in next and contrasts with the sweetness. During this time, a background mustard adds the first bit of heat, which becomes spicer at the end as a wave of peppers creates a nice tingle on the tongue and lips. This persists, along with the fresh tomato flavor and sugar, to leave a pleasant tangy, fruity, and spicy aftertaste. This sauce coated the chicken in a thin, even layer that baked down well over indirect heat. When moved directly over the coals, there was only minimal caramelization and very little burn off. The flavor maintained all of its primary characteristics from out of the jar—bright and fruity tomato, mellow sweetness, medium tang, and a mustard and pepper heat combo. The only dramatic shift in flavor were the few caramelized bits which had a more intense sweet tomato taste. 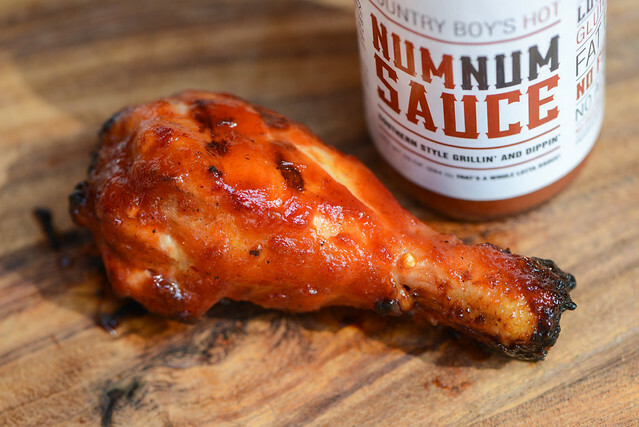 Country Boy's Hot Num Num Barbecue Sauce is a prime example that good things come in small packages. While the 10oz size of the jar is smaller than the average barbecue sauce, what you get inside is almost unmatched in quality and flavor. 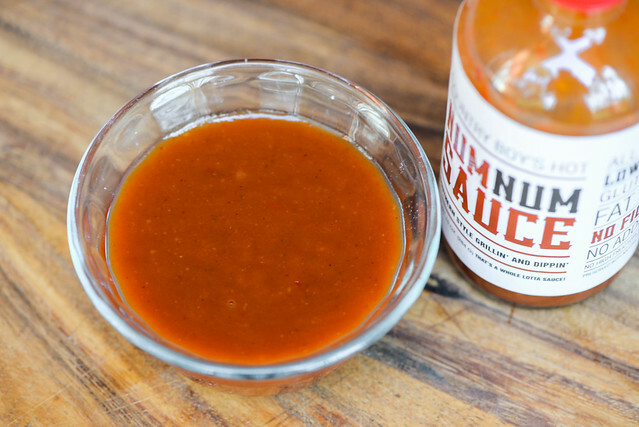 Even when other sauces boast of being "all natural," the flavor rarely translates to true freshness, but Num Num Sauce achieves that with a tomato base that tastes like the tomatoes were just picked and processed right before popping the lid. That alone is no small feet, but add on top of that a great balance of sugar, vinegar, mustard, and heat, and you're looking at one fine sauce that can both impart excellent flavor, but also not overpower the item its coating. That made my chicken taste fantastic and I think the sauce would serve you well on similarly mild items like fish, pork, and veggies. I imagine it would do a good service with beef as well, but the strong flavor of the meat could temper some the bright and fresh aspects that make this sauce so good. I agree with the 9/10 review! I sampled this sauce at Whole Foods yesterday. I was excited about the flavor, and then I read the ingredient list! The product maker chose to avoid HFCS and he uses ACV instead of regular white vinegar. It seems that he wanted to offer GREAT TASTE of the highest quality!!! I LOVE the tomato based sauce on my veggie Italian sausage! You will love this sauce too!! !